SSL stands for Secure Socket layer, it is a form of site security that protects your sensitive information as it interacts with different networks and computers on the internet. This layer provides a secure connection between web servers and the visitors or clients on your site. It acts as a filter key to your SSL certificate business website. SSL is crucial for any site as it ensures sensitive information are safe and kept private. Once there is a secure link between the server and the browser, the data will be shared easily. When you visit a site that does not have SSL certificate, you risk losing the privacy of your information. When you browse through a website that does not have a secure network, the system will provide a warning. You will see a broken padlock indicating the site you visited does not have SSL certificate. Securing information is the main purpose of SSL certificate. There are several personal information on the internet and to ensure only relevant and intended information reach a certain destination safely is very crucial. SSL encodes this crucial information and ensure no third party or only permitted individual access this information. The coded messages can travel through the network safely to the intended person. At the point of origin, the system encodes the data as it prepares to travel through the network and decodes it at the destination. Encoded language is only understood by the system, it is also referred to as machine language. To identify a secure site is easy, HTTP will have a small s (https) indicating the site is secure. Clients should stop from visiting the unsecured site since they might lose private sensitive information. We all like security right? We all feel free and at peace when our security is guaranteed. Same to the customer they feel at peace when their private sensitive information is provided. A secured link will allow customers to visit a site frequently because they are assured of security. Security of customers’ information improves clients’ confidence on the site allowing them to click on any link within the site. Lately, cyber-crime has been on the rise and clients are very careful in relaying information. Visiting unsecured sites can allow the third party to access the information. Criminals are using such avenues as unsecured sites to acquire sensitive information and customers are aware of these facts. SSL certificate will ensure the security of the site and ensure no third party access the information hence building clients’ trust. A secured site will improve client trust and assurance of the legitimacy of the site. A legitimate site should have SSL certificate. Prospective clients can easily make up their mind and transact if their information security is assured and guarantee. Clients will transact if only they have trust the site and they feel their sensitive information is kept secure. Clients who doubt the safety of their information will not transact any business since personal data safety more important. SSL certificate will guarantee your clients informational safety hence they will do business with you. A reputable legitimate site with SSL certificate is likely to gain more traffic and get more sales than the unsecured sites. Many buyers feel secured sites are more legitimate and few fraudsters on such sites. There are higher chances of conversion on secured sites than sites without SSL certificate. SSL certificate is one of the search engine parameters. Google added this parameter some few years ago. If you have SSL certificate your site is likely to be rank better than sites without SSL certificate. Improved Google search ranking increase your visibility and more customers will see your presence. When your site has better visibility, there is higher traffic to your sites since many clients will click on the first page links they see on Google search. Clients will trust the first few results on Google search since they believe Google rank the sites according to its legitimacy. The first page Google search ranking is a marketing strategy since new clients will likely notice the site and can even visit accessing the product available on your site. Lately, there are several online payment platforms. Most of these platforms are connected to mostly your bank account which is very sensitive. Everyone is very careful to do an online transaction and one of the considerations is the site security. No one will try and do transactions on a suspicious site especially on with credit card since this might put their sensitive information at stake. Clients will only transact with the site they believe their privacy is assured. Banks discourage their customers from using their credit cards with unsecured sites since this will risk their privacy. Due to this, no one will use their cards with sites without SSL certificate making it difficult to seal a deal on unsecured sites. Unsecured sites find it difficult to complete a transaction. Sending information to the right destination is key. SSL certificate ensures no eavesdropping of the data and no third party can access the information. Most clients’ value privacy and SSL guarantee this mechanism. Clients have sensitive information such as passwords and pins which if not protected it can easily mess a client. Clients never take chances with this crucial information hence they will only visit secured sites. SSL certificate assigns a special key to a message and communication between clients’ browser and the server shared secret key before the information is transmitted via a network. This will ensure relevant information reaches the required destination without being cracked or intercepted on the medium. SSL certificate facilitates the acquisition and assigns this secret key to each data being transmitted. This boosts the privacy of the information hence allowing clients to use sensitive information on the site. Technological trends have been on the rise lately. Young people have made several inventions including software that is crucial and others that are questionable. Criminal have taken this opportunity to developed cracking software and pseudo accounts to acquire clients’ information. Cyber-crime has been hindering the shift to online transaction since some criminal might attain sensitive clients’ information and used it to against the client. SSL certificate helps in the elimination of this pseudo accounts and reduce the risk of clients information being shared with criminals. It is difficult for this fake account to acquire SSL certificate hence reducing the risk of data cracking. Clients are aware warm before they visit unsecured sites hence they reduce the risk of losing sensitive data to criminals. SSL certificate has facilitated the elimination of criminals by warning clients on visiting the unsecured sites. SSL certificate is a requirement for Payment card Industry. Sites without SSL certificate will not be allowed to use a credit card in any way. This has helped the industry to curb out the illegitimate and fraudsters who would have used the avenue to con unsuspecting clients. Any site wishing to have credit card payment in their transaction is required by the industry to provide this certificate before they are allowed to transact. The regulatory authority wanted to minimize fraudsters as possible in the sector hence they bring this parameter. This standard has attained its objectives and has minimized fraudsters and has ensured proper regulation of the industry. After the introduction of SSL certificate, there has been an undeniable reduction in clients’ complaint about being conned. The industry has made this requirement a must and a secured site has minimal chances of being scammed. The combination of special key and unique coding of data by the secured sites ensure the data confidentiality. The message will travel to the intended destination without eavesdropping or interception by unidentified will be detected and the user will deny access to the third party. SSL certificate will rely if the message is being intercepted on the media, this will enhance the confidentiality of the information being transmitted. Data confidentiality is critical and the data being transmitted should be guarded through all mean. If crucial information leaked to the wrong person it might be misused and the owner suffer consequences. Every site should have security assurance and confidentiality of clients’ information. Unsecured sites do not guarantee confidentiality and in most cases, fraudsters use it to tap crucial information and data from unsuspecting clients. SSL certificate updates the browser with additional information that proofs the legitimacy of the site. To get the extended validation you need SSL certificate and verifications from authority. This ensures proper security of the clients accessing the site. The extended validation ensures all the safety requirement and confidentiality of information is not compromised in any way. This has been achieved by tightening the parameter and ensuring consistent application of the criteria. SSL certificate has helped in creating and maintaining g public confidence on the site. The extended validation shows additional information on the sites that have verified ownership of the sites. It reveals the identity and some relevant information of the site owner. SSL certificate warm against accessing or visiting suspicious unsecured sites. The malicious harmful software is spread on the internet, if you visit the unsecured site without proper anti-virus in your system there are higher chances your system will be cracked. Hackers used such sites to hack into clients system and gain access to sensitive information. Several clients have suffered from such attacked and clients are warm not to visit unsecured sites. SSL certificate assures clients safety from hacking. It warns client with security alert messages. Clients who care for their information safety will cease visiting unsecured sites immediately they receive the alert. Hackers have devised several ways to counter this but the SSL certificate have proven to be the best. If clients and organization acquire SSL certificate their sensitive information safety will be guaranteed. Online visibility is very crucial to your business. Prospects clients are likely to convert if you stamp your online visibility, you can reach a lot of people visiting your site because of better SEO due to SSL certification. Google uses SSL certification to ranked site and sites with the certificate appear on the first page with the possibility of huge traffic. 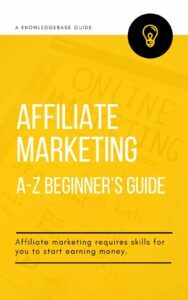 The huge site traffic can convert to business. SSL certificate is very crucial as it will help market and give you good online presence. SEO cannot be enhanced without SSL certificate. Many people have trust in first page SEO and are likely to trust the first few sites and seal business deals with them. With this opportunity, you have the ability to explain to them your product, services, and brands and you have the chances of engaging them. This opportunity will help your business built trust and client awareness of your Product. SSL certificate helps in portraying professionalism to your site. Everyone loves looking professional especially in the highly competitive business field. Professionalism is a differentiating factor between the services and product you offer and what your competitors offer. A professional site will boost your marketing strategy with low Google bouncing rates, this will ensure the first page Google ranking. The professional site generates a lot of interest and potential client know about your business legitimacy and how serious you take your business is. SSL certificate is critical to enhancing your business site image and brand. This means your professional site will attract huge traffic and minimize suspicion to your site. 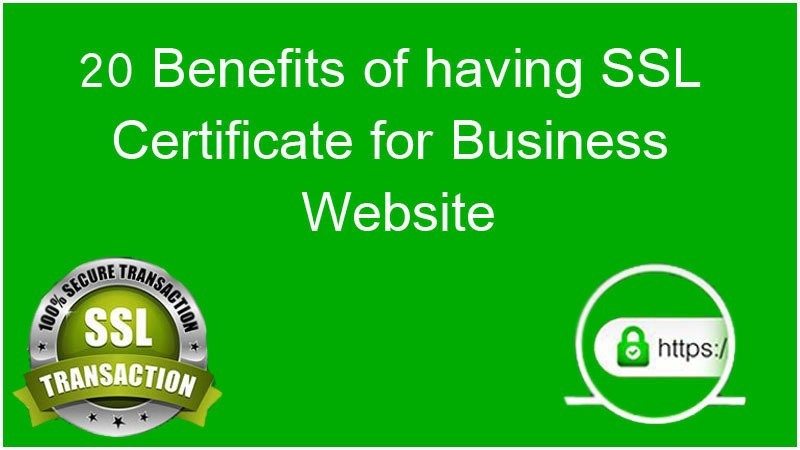 SSL certificate business in building brands online and ensuring sites have maintained professionalism and legitimacy. SSL certificate forms the basis of the regulatory authority in vetting an organization. No institution can attain SSL certificate without extended validation verification by the Regulatory Authority. This has helped in minimizing pseudo and imposters from acquiring sensitive information illegally. Clients are becoming aware of cyber criminals and are doing a background check of the organization before they seal a deal with them. SSL Certificate and site legitimacy is one very crucial consideration for them. It is very hard to seal a deal without this certificate. SSL certificate acts as a compliance certificate in most online transactions. Businesses sites are encouraged to install SSL certificate and be able to take advantage of these certificate and seal deals with its clients. SSL certificate has helped minimize the leakage of sensitive information to criminals and reduce cyber-crimes. Running and managing a business website professionally can be a cumbersome and a nightmare for some individual and organizations. This makes several sites prone hacking attacks and victims of cyber-security. SSL certificate help in easing the running and managing this sites by installing updates and alerting the host to any threat on their sites. Hackers can easily intrude to unsecured sites and be able to temper with content and other crucial resources in the sites. They can also gain access to clients’ sensitive information and misuse that information. Due to the industry dynamism, crucial updates should be installed regularly to your websites. SSL certificates update this software and automate your system making easy to maintain your site professionally. Running and installing these crucial updates to your browser increasing error chances tarnishing your online reputation and lowering Google search ranking. Phishing is a common cybersecurity threat. Many individual and organizational websites find it difficult to safeguard sensitive information in their sites. Criminal use hacking software, Emails, and even phones call to acquire valuable information from unsuspecting clients. Many websites fall, victims of these phishing attacks since they fail to secure their website. SSL certificate is a necessary tool in guarding against this phishing. Attackers attached a link to emails to clients and employee re-directing them to websites that will intrude on sensitive information without their knowledge. The E-mail address appears reputable or even carry the organization host domain. SSL certificate provides alerts on such links and warns the website administrator about an attempt to intrude on their system. This will enhance system security and loss of crucial data to criminals. Productivity is a requirement in any business, it leads to high turnover. A website is a brand or your business image. SSL certificate will enhance this branding hence resulting in higher productivity. Poor websites are difficult to manage and its productivity is very low. Websites with SSL certificate have a special E-mail feature that filters incoming emails and places them in the correct folders, these features detect scam mail and deny them access to your email inbox folder. This boosts your website productivity by allowing only the relevant traffic to your site. Great sites have higher productivity as compare to a poor site without SSL certificate. Productivity in sites with SSL certificate is enhanced by less distraction allowing the owner to focus more on the product or services offered. Domain validation is the verification of the domain ownership. The CA will require email authentication of the domain ownership and one is required to prove its ownership. This authentication email will require one to prove you register for SSL certificate. No domain validation will be awarded if there is no SSL certificate. A verification process is done online but you have to offer satisfactory proves before a certificate is issued. The CA will send an email to a domain pre-approve email domain for the owner to provide ownership proves. Without SSL certificate it is difficult to prove website ownership and domain validation will not be validated. Without this domain validation, the system will not be secured hence warning clients about their information safe on your site. Everyone is careful about downloading kind of stuff on the internet and before you proceed there are warnings generated verifying the source of the content. Proceeding to download or cancel will have an effect on your site. In most cases, sites without SSL certificate will not generate this warning creating suspicion from clients. SSL certificate helps in providing a link to the content developer. This will help in building client confidence when they visit a site and all the information are provided including the software developers. Code signing certificates provide verification and identity of the developers working with the company. These code signing certificates are included in the SSL certificate. All the necessary developers’ information is contained in these certificates. Website with SSL certificate has security signal that helps assure visitors to your site and their informational security. Clients at your site can see on their browsers that there is no threat to their data and can transact with ease. These security features are only available in sites that have SSL certificate. These feature display security information such as domain name, organization name, certificate authority and other security information necessary. SSL certificate carries most other certificate and many clients believe SSL certificate is the main assurance of any site. Client trust is very crucial to any organization, it builds relation and happy clients offer referrals to your sites. At this point, you can see clearly the importance of SSL certificate to your business website. There are few shortcomings though. Many people ask, do I need SSL certificate? The answer is absolutely yes, customers want assurance that their sensitive information is well protected and the only main assurance is the SSL certificate. Your clients trust your website with very sensitive information and your duty is to ensure privacy is maintained. Information such as credit card codes should never be tampered with whatsoever. SSL certificate helps you in many ways as started earlier hence boosting your conversion rates. You can buy your own SSL certificate since it is not expensive or you can as well use your hosting provider. Many hosting sites allow their clients to use their SSL certificate. SSL certificate allows you to enjoy all the above rights.